Vice-champion of the Greek-Roman battles Victor Ciobanu returned to the country. The young man took the silver medal at the Budapest World Cups. 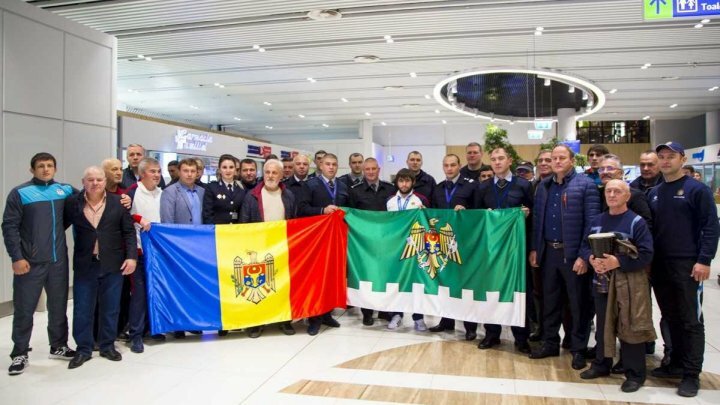 The athlete, who is employed by the Border Police, was greeted at the airport with a team of colleagues and friends. The Moldavian sportsman said that he was pleasantly surprised by the surprise prepared by his colleagues: "I am very glad that my colleagues met at work. I did not expect it to be so beautiful, thanks to my team, the coaches who came friends". The fighter had a wonderful evolution in the competition in the Hungarian capital. The Moldavian sportsman was only defeated by the Russian Sergey Emelin. "All the opponents were very prepared. The first one I fought with was the Hungarian, the second was with the German, a very hard fight, and the third with China, a strong and very fast fighter," said Victor Ciobanu . "I was very well prepared before my departure, I had a training here in Chisinau, and I had training for 15 days in Timisoara, I really expected a good result from him," said Mihai Cucu, trainer. Victor Ciobanu brought Moldavian sports the first silver medal in the last 23 years at the World Championship of Seniors in Greco-Roman Fights.